“永勝” 易克黴カプセル100mg ICOMEIN CAPSULES 100MG "EVEREST"
“永勝” 喘克徐放微粒カプセル125mg THOIN SUSTAINED-RELEASE MICROSPHERES CAPSULES 125MG "EVEREST"
喜洛緩釋微粒膠囊 Hiros S.R.M. Capsules "EVEREST"
“永勝” 康胃錠2mg KOWELL TABLETS 2MG "EVEREST"
永勝佳胃カプセル15mg LANPO CAPSULES 15MG "EVEREST"
永勝” 保肝カプセル150mg (シリマリン) PROCAM CAPSULES 150MG (SILYMARIN) "EVEREST"
“永勝” 康美FC錠 KOMENI F.C. TABLETS "EVEREST"
"永勝" 惠暢錠2mg WESON TABLETS 2MG "EVEREST". 永勝"愛必斯膜衣錠300 mg Heipo F.C. Tablets 300mg "EVEREST". 〝永勝〞費落持續釋放膜衣錠10 mg Felo E.R. F.C. Tablets 10mg "EVEREST"
邁炎腸溶微粒膠囊５０mg MOGEN ENTERIC-MICROENCAPSULATED CAPSULES 50MG "WECAM"
"永勝"飛佳膜衣錠100mg Frekey F.C. Tablets 100mg "EVEREST"
“永勝” 麥得炎徐放FC錠75mg MEITIFEN SUSTAINED RELEASE F.C. TABLETS 75MG "EVEREST"
"永勝" 滋胃錠 TOWELL TABLETS "EVEREST". 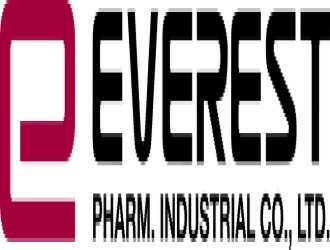 Everest Pharmaceutical Co., Ltd is established in 1978, locate in Chiayi, Taiwan. The employee number is 260 include R&D, Manufacturing and Laboratory. We focus not only on control quality also concentrate on pellet technical development. Specialized in the development of controlled release drug delivery systems. Company has self-brand and providing CMO services for Drugs and Dietary Supplements to meet customers’ requirements. We are richly cultivating Taiwan while reaching out to the world.